Join the world’s most famous travelling reporter in two exciting adventures as he heads for the Congo. 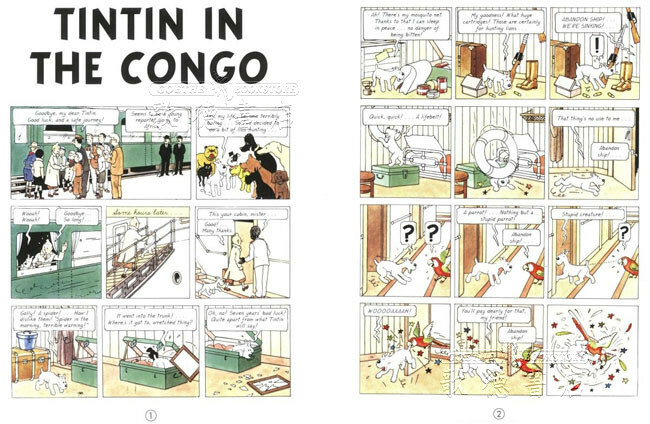 The young reporter Tintin and his faithful dog Snowy set off on assignment to Africa. But a sinister stowaway follows their every move and seems set on ensuring they come to a sticky end. 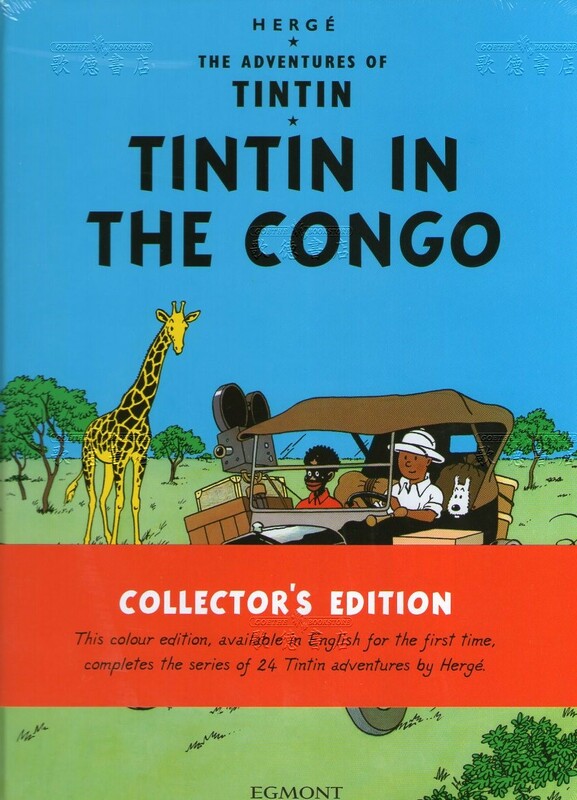 Tintin and Snowy encounter witch doctors, hostile tribesmen, crocodiles, boa constrictors and numerous other wild animals before solving the mystery and getting their story. Still selling over 100,000 copies every year in the UK and having been adapted for the silver screen by Steven Spielberg and Peter Jackson in 2011. The Adventures of Tintin continue to charm more than 80 years after they first found their way into publication. Since then an estimated 230 million copies have been sold, proving that comic books have the same power to entertain children and adults in the 21st century as they did in the early 20th.